Wow- this week is just whirling by....and so is summer! I guess for most people summer is over, but since I am retired, I am going to hold onto it until the very last day I can. And since I am still celebrating summer, I thought I would break out a collection by Samantha Walker called Cool Summer. 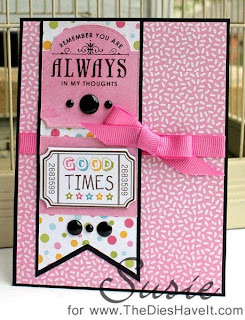 I used papers from the 6x6 paper pad and then the ticket is from the chipboard elements sheet. 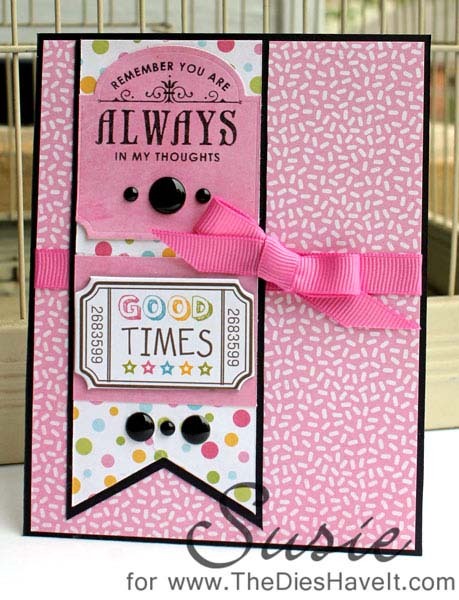 I needed the perfect ribbon for this and so I searched my Stampin' Up stash and I think this color is just right. Hooray! I don't use ribbon much right now...but I am thinking maybe I'll start again soon. I'll be right back here tomorrow. I hope I'll see you then.